Mr. Guney joined MasterCard in 2005 as a product sales specialist, supporting customers in Southern Europe to develop new consumer credit products and improve performance of existing portfolios. 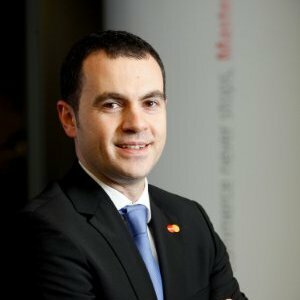 After managing key accounts till 2010, he became General Manager of MasterCard Southeast Europe and he leaded ten countries to grow payments business with his team. Currently he is the Regional Head of MasterCard Advisors for Middle East & Asia. Prior to MasterCard, Mr. Guney worked as a management consultant in various parts of the world and accumulated 6 years of experience in strategic planning and customer relations in a wide range of industries covering financial services, pharmaceuticals and telecommunication. Mr. Guney holds a double major degree of Industrial and Civil Engineering from Bogaziçi University. He continued his education at INSEAD, France to study for a MBA where his focus was on marketing, particularly marketing of pharmaceutical products. He speaks English and Turkish fluently. He is married and he enjoys cooking, photography and sailing.